Principal Cast : Daniel Radcliffe, Emma Watson, Rupert Grint, John Cleese, Robbie Coltrane, Warwick Davis, Richard Griffiths, Richard Harris, Ian Hart, John Hurt, Alan Rickman, Fiona Shaw, Maggie Smith, Julie Walters. Synopsis: A young boy discovers he’s actually a wizard, and is whisked off to Hogwarts, the school for wizards and witches, in order to learn about his past, namely, that he survived an encounter with long-dead evil wizard Voldemort. 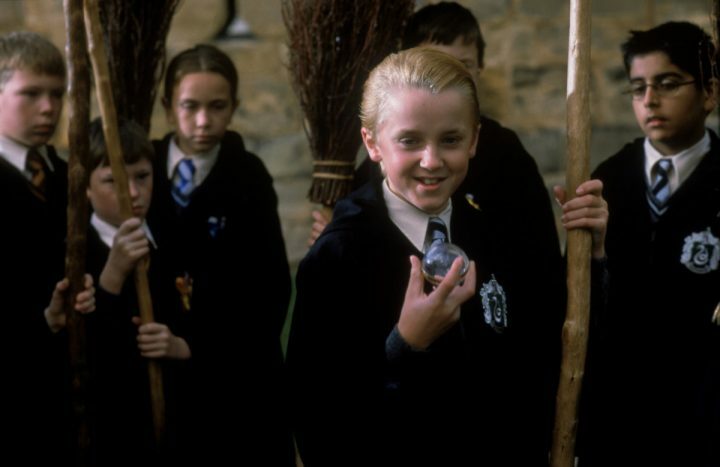 Long, magical and glowing with an inner cinematic beauty, JK Rowlings boy wizard is faithfully brought to the big screen in this, the first film in the Harry Potter series. Harry Potter, a character in a set of books of the same name, is a young lad who, one day, finds out that he’s not actually a normal boy, but is in fact, a wizard. his parents were wizards, his family is legendary in wizarding circles, and by crikey, he’s about to get some kind of an education. Expectations were high when Harry Potter & The Philosophers Stone was released (or, as it was in the US, The Sorcerers Stone, because idiot American studios felt that the idiot American public wouldn’t understand what a philosopher was… er, really? What idiots.) since the novels had become gargantuan successes in their own right, obtaining a legion of devoted fans. JK Rowling, at the point at which Philosopher’s was released, was already a multi-millionaire based upon the novels’ success, and when the film deal was made, she became one of the wealthiest women in England, if not the world. Warner Brothers studios bought the rights to the books, and set about creating the film series we all know and love today. Rowling was paid an estimated $US2m for the rights. The Philosophers Stone tells of Harry’s induction into the world of wizardry and witchcraft, after escaping the clutches of his vile Aunt and Uncle to attend Hogwart’s School, where he will grow to learn his craft and uncover many secrets about his family and their past. 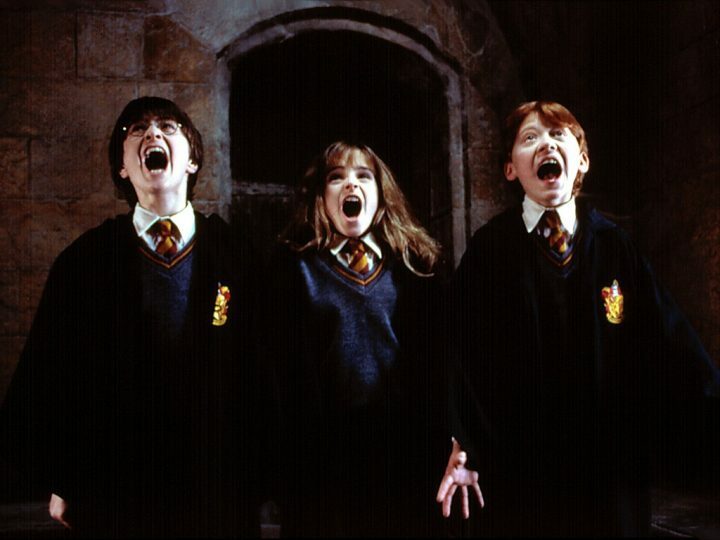 Since his family is almost legendary within the wizarding world, Harry Potters arrival at Hogwarts is greeted with a mixture of excitement (from those who know the truth) and disdain (from those who see Harry as a threat). Harry is introduced to the varying characters and creatures that will come to be familiar faces to us all, as he spends his first year at the ancient school. The Philosophers Stone was given a pretty decent rap by critics when it first debuted, and I felt it was about time to have another look at the original film of this massive series, to see how it stacks up today. Orphaned youngster Harry Potter is living a lonely existence with his abusive Aunt and Uncle, who abuse him and take advantage of him since he was foisted upon them when his parents were killed by Voldemort, an evil wizard who overshadows almost all the events in the series. Harry’s Aunt and Uncle know about his family’s legacy, and try desperately to prevent Harry from having any knowledge of it. Unfortunately for them, magic is no match for human stupidity, and Harry eventually finds himself whisked away to Hogwarts, where he meets Ron Weasley and Hermione Granger, two fellow students about to start in the same year as Harry himself. 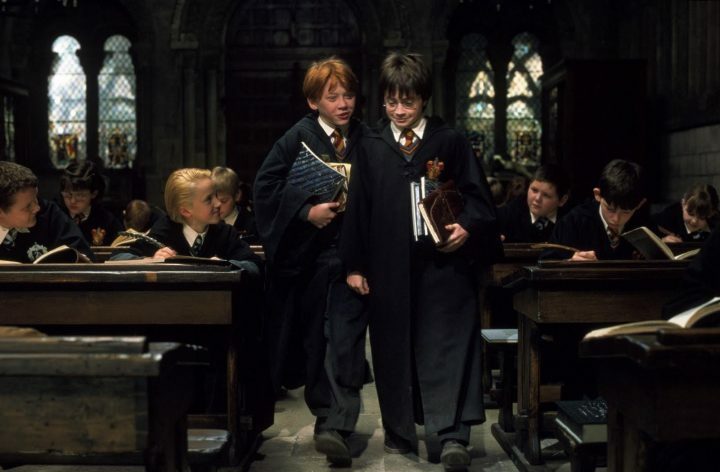 Ron, a red-headed clumsy boy, immediately takes a shine to Harry, and they become fast friends. Hermione, as the abrasive know-it-all girl whom we all suspect has a soft spot for Harry but will never admit it, hangs about with the two boys since the other girls don’t really like her. Once at the school, they are sorted into “houses”, and assigned their classes. They meet many varied teachers and instructors, particularly the snarling, malevolent Severus Snape, who teaches, among other things, the skills of potion making. Snape is portrayed by the delightful Alan Rickman, who appears to be a Bad Guy, but in actual fact is not quite what everybody thinks…. Dumbledore, played by a marvellous Richard Harris, is the headmaster of the school, and one of the wisest and most powerful wizards walking the earth. He is often accompanied on screen by lovely Maggie Smith as Minerva McGonnagall, and both of them were responsible for Harry being given to his Aunt and Uncle for safekeeping. The film features a plethora of great British and European talent on screen, and although quite a few end up only as glorified cameos, you get the sense by this that no expense was spared to get this film made. John Cleese, Richard Griffiths, Warwick Davis, Julie Walters are some of the big name luminaries who grace the walls of Hogwarts and the pathways of Harry’s life. So how does The Philosophers Stone stack up today? Well, to start with, the film is quite lengthy, and its pacing relies heavily on the faithful adaption of the original novel into a script: one which is extremely faithful, by most accounts. The development of the story is protracted, with the antagonist popping up only right towards the end. The trouble with Philosophers Stone is that it needs to set up the world in which Harry exists, and generate some character development so we all know who these people are: after all, we’re going to be seeing a lot more of them over time. 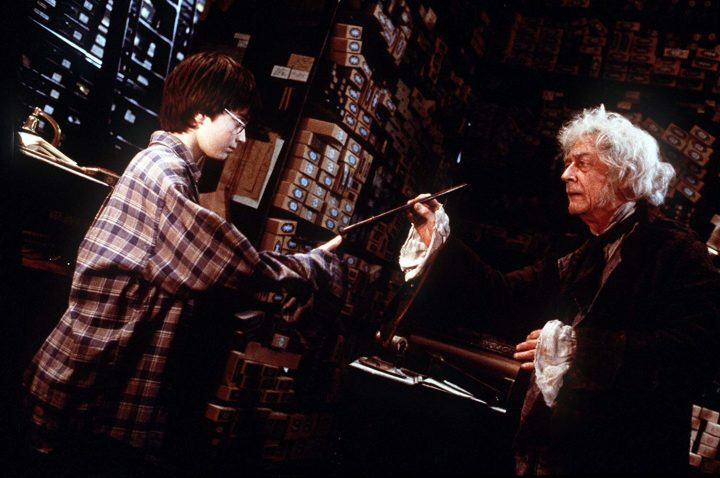 As such, Philosophers tries to be true to the original novel, to maintain a cinematic flavour, and entertain without becoming either preachy or bogged down in the minutia of Harry’s world. Chris Columbus, himself responsible for many a hit-and-miss film (Home Alone, Mrs Doubtfire, Nine Months, Bicentennial Man, among others) managed to strike just the right balance between slavish devotion to the original novel, and a more cinematic, wide-screen feel to proceedings. The plotting is such that each introduction to a new character, a new place, is given the jaw-dropping respect it deserves, although after a while, when you’re busting for a toilet break, thing’s don’t improve. The Quidditch match, with Harry zooming about through the air in what is really some kind of extreme broomstick sport, is a highlight of the film, and would come to be repeated in the other films as they were made. However, the big sticking point is the obtuse and dense final act, with the unleashing of Voldemort into the film: this part of the film is talky, ill-defined and badly structured. When your key villain, your central antagonist for the entire series, is actually stuck on the back of somebody’s head, the film lost any and all momentum it had generated up until that point. It’s a silly little thing, but there was no tension, no real fear generated. Voldemort, the whispered name of the deadly wizard responsible for Harry’s parents’ death, should have been a lot more convincing than this, dreadful CGI effort. 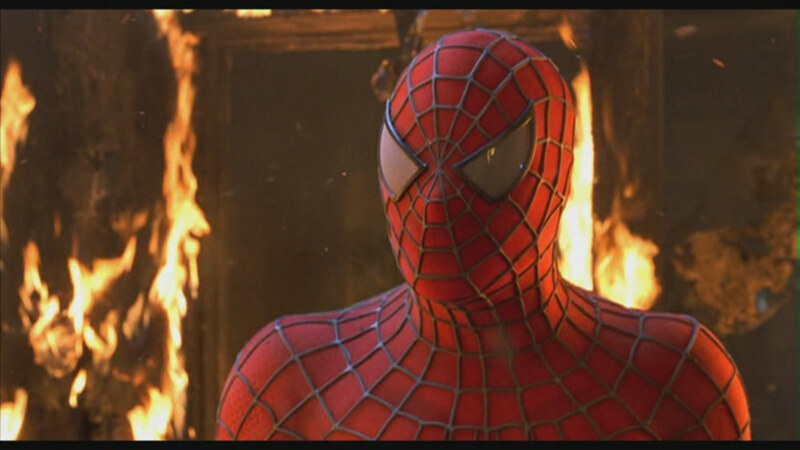 When watching this in the cinema, I felt completely let down. Was that it? Was that the great villain we had only heard mentioned in minuscule detail? Talk about underwhelming. The principal cast of Harry, Hermione and Ron are played very, very well by Daniel Radcliffe, Emma Waston, and Rupert Grint, respectively. 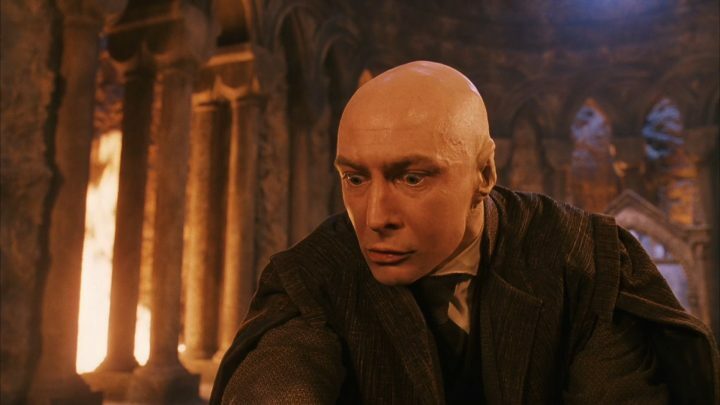 Radcliffe has an enormous burden to carry this film, as the title star, and much has been made of this first effort, in which he spends a great deal of time wide-eyed and startled. As a child actor, they couldn’t have picked a better looking kid, but it’s just a pity he can’t act.Watson, on the other hand, is luminous, her acid-tongued belittling of all around her wonderfully portrayed and perfectly captured by the young actress. She’s a little wooden in moments, although for much of the film she seems to find her acting feet and does a great job. Then there’s Grint, who manages to maintain that pained, downtrodden expression throughout the film, and of all three child actors, it’s he who is the most naturalistic. Columbus creates a world unlike any we’ve seen before, and fan’s of the book lavished praise on the way in which the film-makers constructed things that, until now, had only existed on the printed page and in people’s imaginations. 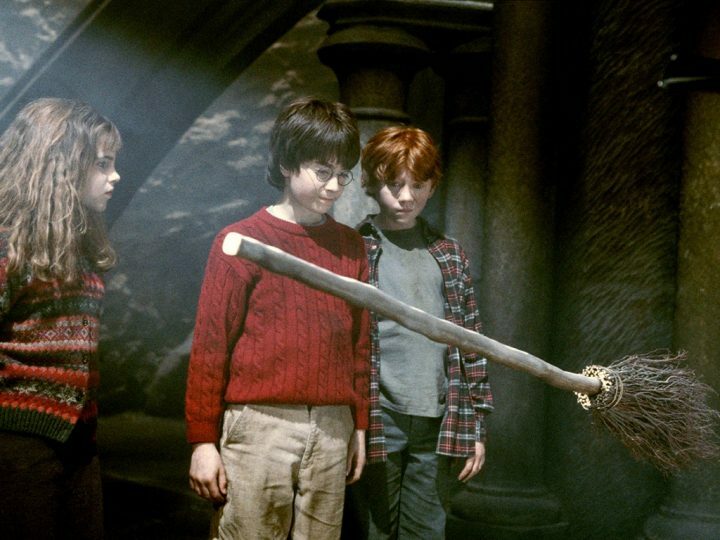 Harry Potter’s first film outing is a long, slightly bloated, effect-heavy affair, occasionally clunky but most assuredly commercial, and although some of the effects will lose a lot by comparison with the current stuff Hollywood’s churning out, there’s still plenty of magic left in the original adventure of the boy wizard. A decent adventure, with plenty for people to keep an eye out for and some amazing production values.